Oh it was tough this week! There are so many author blogs that I love. I'm continually inspired by authors who can keep up a blog with everything else they have to. 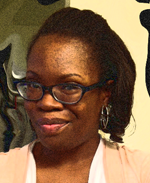 I had a hard time narrowing it down, but I just love Lena Sledge's Blog. Every time I visit, I find the content fresh and interesting. I remember one post included instructions on how to make some of the beautiful bookish things (jewelry, covers, etc.) that we see around. I haven't had a chance to try it yet but definitely bookmarked the post. I also love how she provides resources for other authors that are interesting to those of us don't write (and don't want to). I have to admit that I appreciate her giveaways as well. They are always different and fun. I've won a couple and she puts so much thought into them. I can go on and on but you really just need to give her a little visit. P.S. Thank you everyone for being understanding about my random schedule and meager posts. I'm still helping out my family and going to class when I have free time. Oh and there's moot court this weekend. Wish me luck!! I have a couple of great posts and reviews coming up soon. So there's that as well. 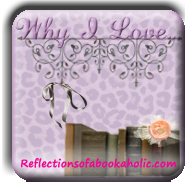 Which author blogs do you love? Feel free to create your own post and link up. Don't want to create an entire post? Tell me your favorites in the comments. Thanks for stopping by for another week of Why I Love Wednesdays!! I don't have time to make a post but I love Deborah Lawrence's blog. She wrote The Lantern. Her writing is magical. Oh I am reading The Lantern soon! I checked out her blog and I'm definitely following now. Thanks! She's hysterical, light, does reviews, talks about life and eating right, travel, etc. I really enjoy reading most author's blogs. Like you I am amazed they can write, have a life, and still have time for blogging. What superheros! I'll have to check out her blog! 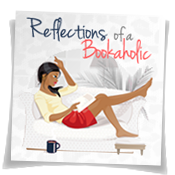 I do love reading Meg Cabot's blog, is the only one I Still follow! I picked Lena too. She does have such great information and posts. 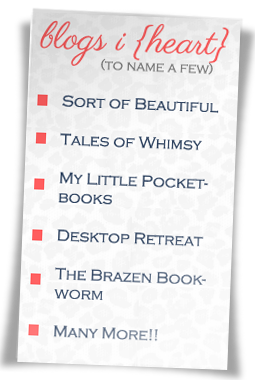 i tried those bookish ideas and they came out great. I haven't been to Lena's blog but I'm heading there now. Sounds like a gooder! Hope your brother is doing better - and have fun with moot court!